Hang on a minute, HOW is it March already!? I should have written this post back on January 1st, but hey sometimes you just need a break (probably not a 2 month break... but I got stuck in a rut ok!?). 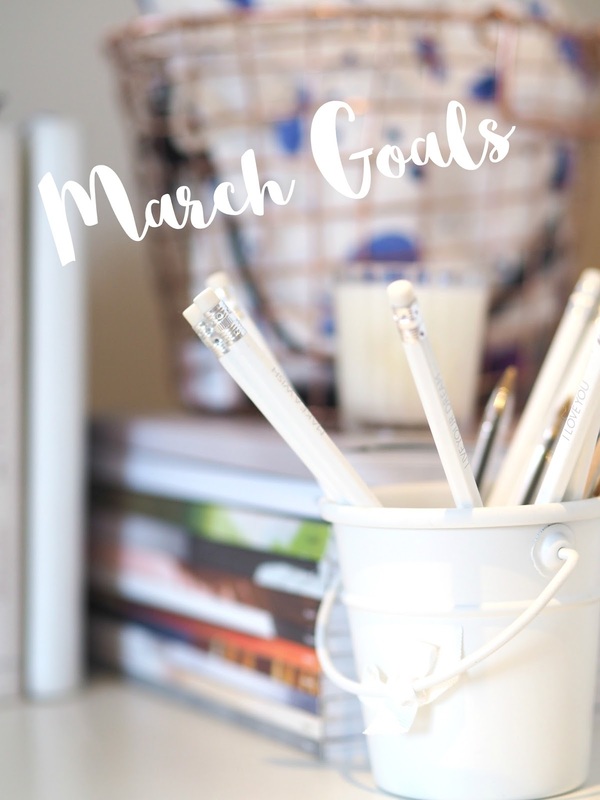 I've been a bit lacking in the inspiration department in the early months of 2017, so lets start slowly with a March goals list. The days are getting longer, the sun is peaking out a little bit more and spring is on its way! Happy days. 01. Get back on the blogging content! I've managed to keep up my Instagram (mainly), but clearly the blog has suffered. It's time to get that inspiration flowing and my fingers tapping again. 02. Push myself. Summer is just around the corner, I'd like to start hitting some goals this month fitness wise. I'm booked onto boot camp next Saturday (oh god), and I'd like to make sure I go for a run at least twice a week. 03. Partying hard! One of my besties is getting married next month (eek!) and it's her hen-do at the end of the month. Excitement is on another level! I can't tell you anything more in case she sees it, but it's going to be a good'un. 04. Read a book or two. I've just had 'Everything, Everything' by Nicola Yoon dropped on my doorstep by the wonders of Amazon Prime, perfect timing for a cosy Sunday afternoon read. Rather than spending hours on my phone on my commute, I'm sure my brain would much rather a good book to get stuck in to! I love it when I feel a bit more inspired and motivated and I think setting goals really helps push that forward.